Russian consumer rights watchdog Rospotrebnadzor has ordered the temporary closure of four McDonalds restaurants in Moscow after discovering "numerous violations" of sanitation regulations during inspections conducted in the August 18-20 period. 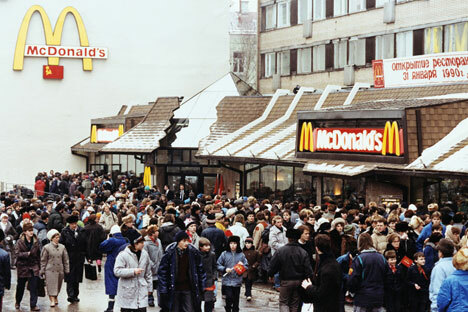 The restaurants include those belonging to CJSC Moscow-McDonalds and McDonalds LLC. The restaurants face administrative actions under the Administrative Violations Code, Rospotrebnadzor said.